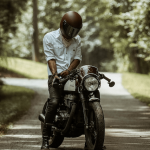 This is the archive of older wBW Vintage, Classic and Antique Motorcycles articles that are still available on the site. Here’s the wBW Vintage, Classic and Antique Motorcycles home page. Thread repair with an old-fashioned thread file! 1974 Ducati 750 GT “Bevel Head” restoration; story, photos and tips! Beautiful Ducati 750GT and GT1000 “Custovations” in this wBW Special Report! Wonderful vintage photographs of the Towner Brothers motorcycle shop from the 1920’s! wBW Book Review – Historic Racing Motorcycles, Famous Racing Motorcycles and Built for Speed by John Griffith. Motorcycle art – airplane conversion by Greg Inkmann! The Mod Years and The Rocker Years, new “bookazines” with photos and stories of the era.